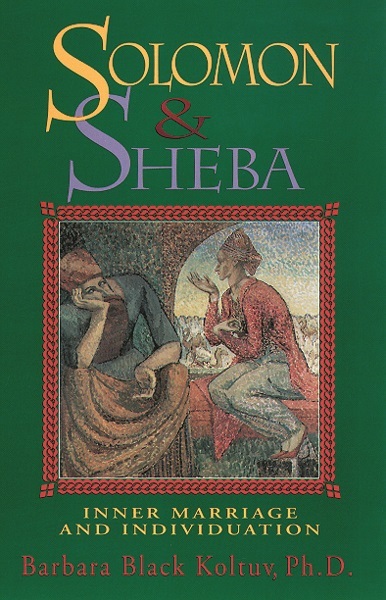 The story or archetype of Solomon and Sheba may be understood on several levels. It is a simple, splendid love story; it is also the story of the heart's journey toward individuation, a conjunction of the masculine and feminine principle existing in every human psyche. Men and women grow because of their relationship with each other and this alchemical experience is brilliantly explained by Koltuv, a New York based Jungian analyst and champion storyteller. Many illustrations. Dr. Barbara Black Koltuv is a clinical psychologist and a Jungian analyst. She is a graduate of the C.G. Jung Institute in New York. After receiving her Ph.D. degree from Columbia University, Dr. Koltuv graduated from the New York University Post Doctoral Program in Psychoanalysis where she studied dream work intensively with Erich Fromm. She has been fascinated by, and has collected, amulets, talismans and magical jewelry since childhood. Dr. Koltuv is the author of The Book of Lilith, Weaving Woman, Solomon and Sheba: Individuation and Inner Marriage, all published by Nicolas-Hays.